Sometimes my work requires me to be coaching people undergoing a loss of job or changing work circumstances. 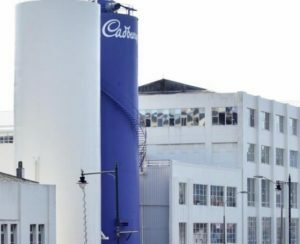 Such is the case over the coming seven months, as I prepare to work with some 300 staff at the iconic Cadbury factory in Dunedin. It is a real privilege to be supporting fellow citizens through the changes ahead. Take an honest look at yourself. What are your strengths, weaknesses, skills? How did those influence—positively or negatively—your transition? Step up your self-care. Major changes are physically and emotionally taxing. You need self-care now more than ever. Engage your curiosity. What went wrong, or right? What could you have done better that you can take into your next role? What worked really well? Focus on what you want, and less on what you don’t want. Keep your eye on the prize. Find support. Since your transition affects your family as well, it is wise to seek the outside support of a Coach skilled in career transition support. Work on your thoughts. Calm your fears and reinforce your sense of hope and happiness. Reassure (or avoid) those who are threatened by, or jealous of, the change. Create your own rite of passage. Ceremony and ritual help with all transitions. Let go of how things were “supposed to be” and accept “how things are.” Find appreciation for what is. Keep things in perspective. Or try on a new perspective. Don’t get stuck. Remember, the only constant is change.